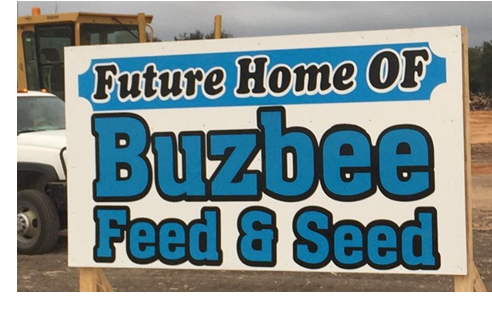 ​​ WACO – Locally owned Buzbee Feed, Seed & Supply is relocating and expanding their operation. The company will move into the new location—at 1701 S. Loop 340 on a ten-acre lot, with 6,800 sf for retail, 12,000 sf in warehouse space, and a 6,000-​sf hay barn—​​in late July or early August 2017. The company’s current location has 1,250 sf of retail space and 7,000 sf of warehouse.